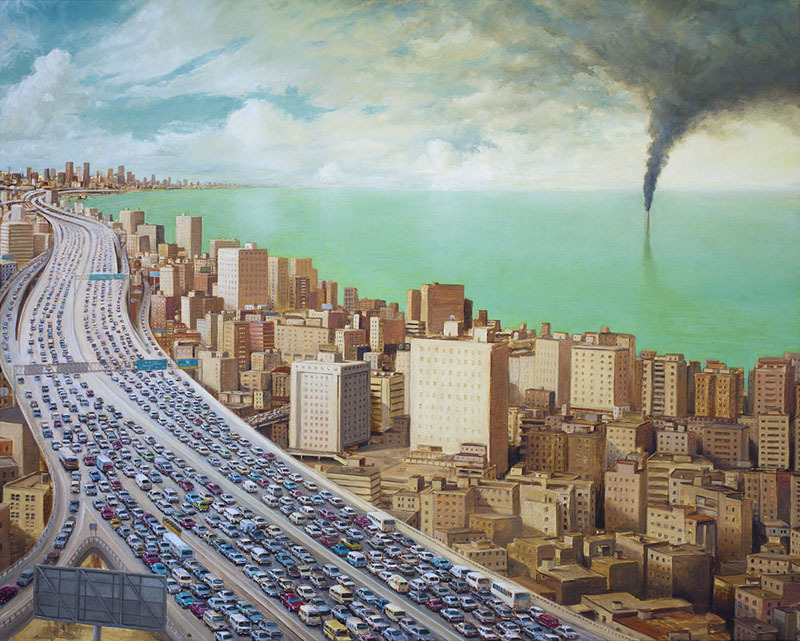 Portents is a chilling series of acrylic and oil paintings by San Francisco-based artist Michael Kerbow that depict a future where our cities are overrun with cars, construction, people and pollution. 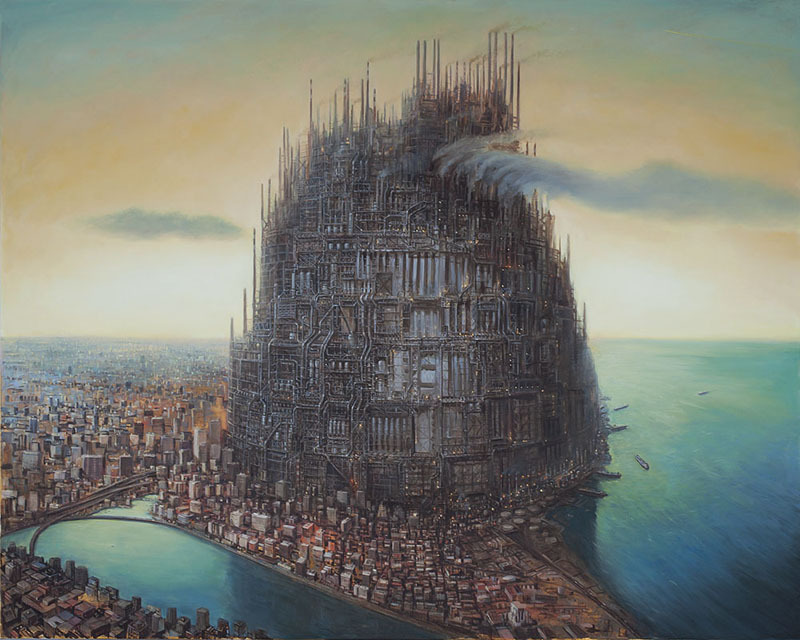 The painting above is titled “A Means to an End,” which, as Kerbow explains, has a dual meaning. 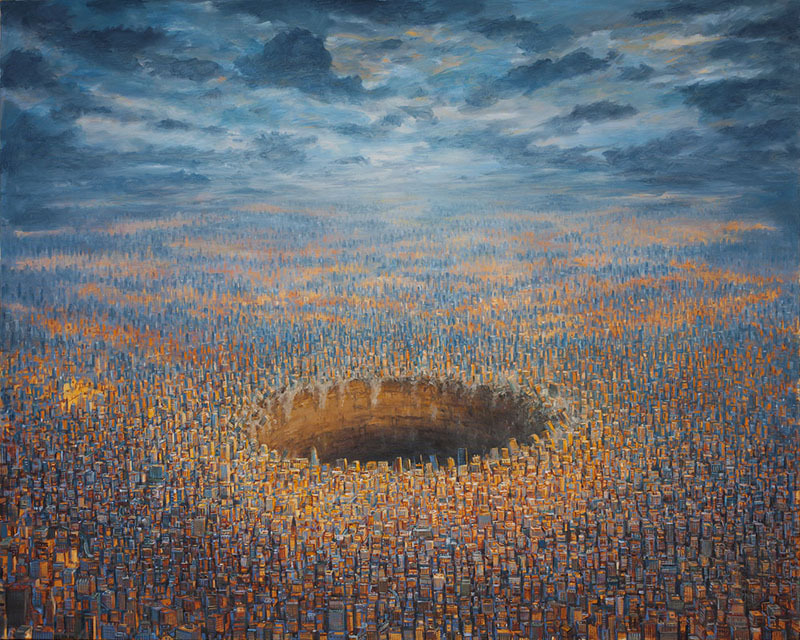 A terrifying thought to be sure, but the paintings are beautiful. 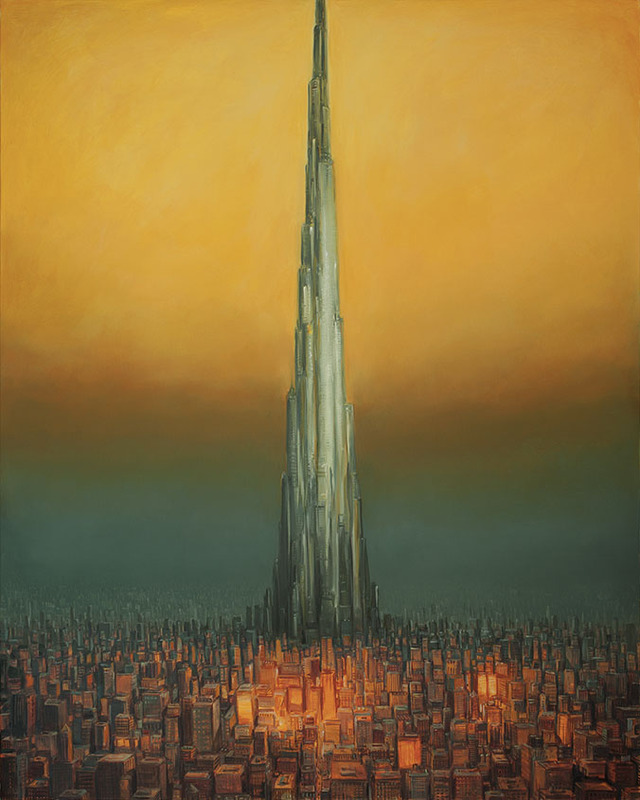 We particularly enjoy “Dominion,” which depicts a very Burj Khalifa-like tower looming over a crowded cityscape. You can see the complete Portents series here.